Thanks to medical advances, living for 100 years or longer may become quite normal. Living longer is a great thing, especially in good health. But it also makes the questions about the consequences of aging and retirement more complex. What does a 100-year life mean for the way we organize our working life and retirement? How will life expectancy develop in the coming years? Are there differences between groups of people? The fact that we get more time also means that we have to work longer, or save more for our pension. Are we going to face more uncertainty? And can we share those risks? Living longer is probably good news, but also brings challenges for people and institutions. 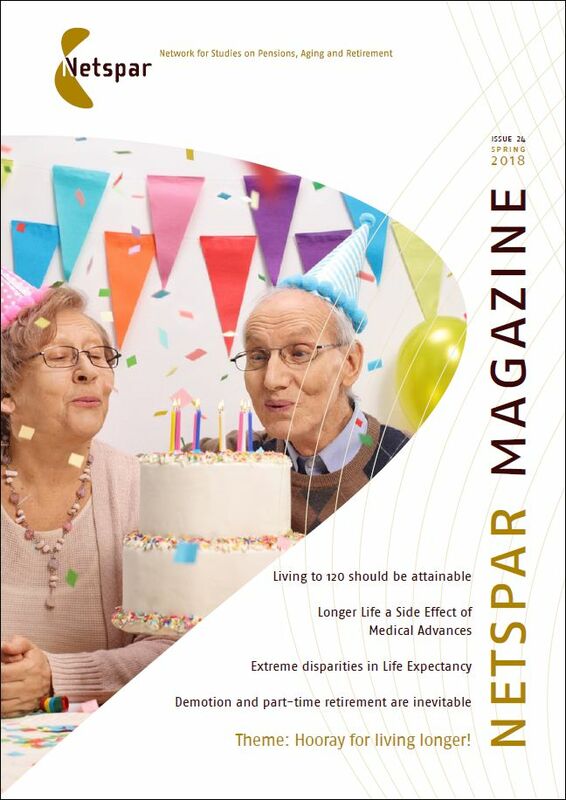 In this 24th edition of Netspar Magazine we highlight the developments around longevity from various and surprising perspectives. Enjoy reading! Longevity congress (co-hosted with the Pensions Institute (Cass Business School) on September 20 – 21.